Truly experience what Seattle has to offer right outside your door. With the city's best food, entertainment, and activities all within minutes of your flat, you can immerse yourself in the culture of one of the finest cities in the world. 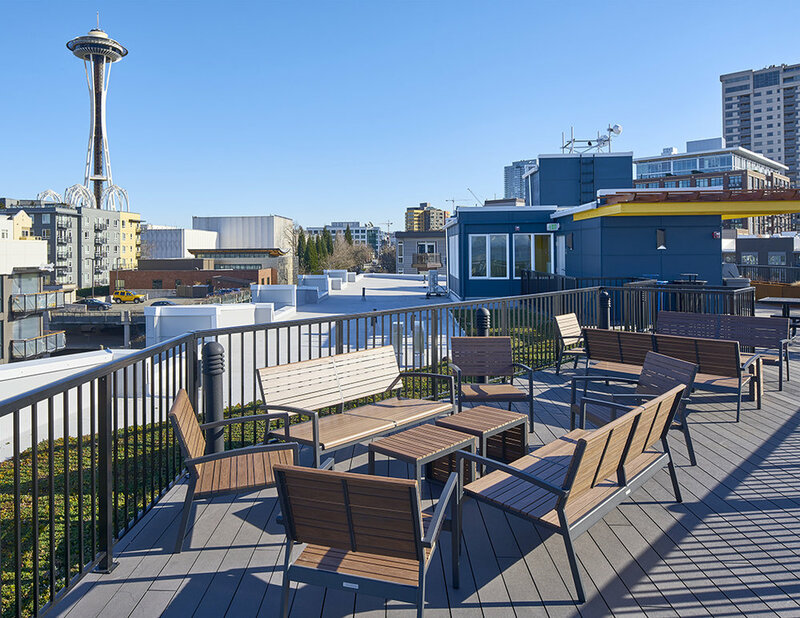 Take in the stunning panorama from our community rooftop deck. 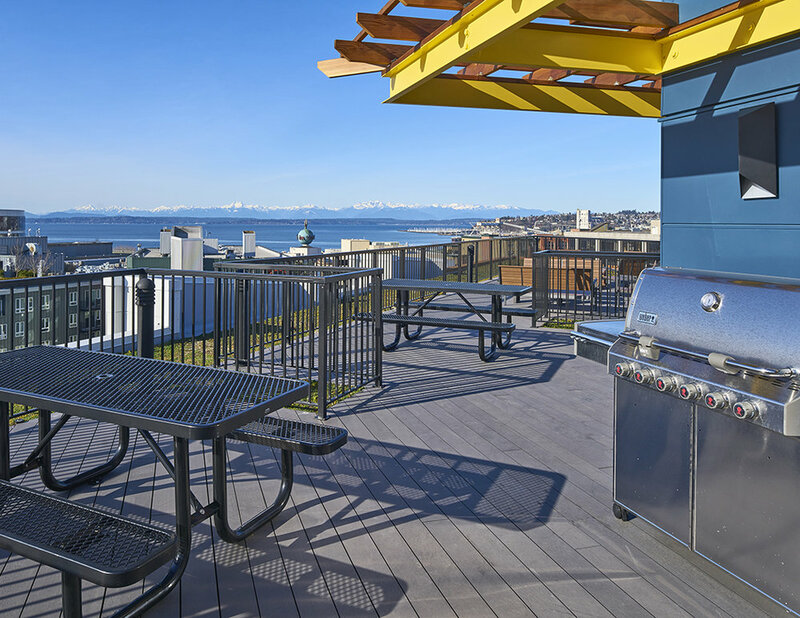 Featuring beautiful views of Elliott Bay, the Space Needle and the Seattle city skyline. Our flats feature modern design touches from floor to ceiling windows, custom cabinetry, stainless steel appliances, and styling lighting. The triangle Minnie Flats complex offers a variety of floor plans throughout the building that contribute to unique and creative layout possibilities.